At Beacon Hospital we offer a career in a dynamic and progressive environment where patient care is at the centre of all we do. Our ethos is one of continued development, recognition and career progression. Through external education funded by Beacon Hospital and in-house development, Beacon Hospital strives to professionally develop its employees to facilitate them to achieve their ultimate career goals from within the organisation. Our continual hospital expansion and growth plans ensure that we have a constant need for more senior positions, allowing you to fulfil your career potential here at Beacon Hospital. 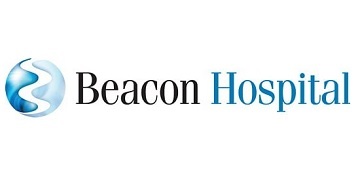 So if you’re looking for a place where you can collaborate with bright, innovative people, join the Beacon Hospital team. We are always on the lookout for talented people to be part of our fast-growing, dynamic, Hospital.